The processing of sugarcane, and by extension molasses, can be traced back through history to 500 BCE India. This process and its resulting products spread to China and the Middle East. Arabs then passed it along to Europeans. Sugarcane was planted in Spain and Portugal in the 1300s. When Christopher Columbus set off across the Pacific he carried sugarcane with him. The plant found the perfect growing environment in the West Indies. By the 1600s, it had moved up into the southern American colonies. Here, the origins of molasses becomes somewhat checkered. Molasses was, at least, partially responsible for the slave trade. During a period starting in the 1600s and extending into the 1900s, traders engaged in the most infamous example of Triangle Trade. They carried slaves from Africa to the Caribbean where the slaves were sold and often put to work on sugarcane plantations. Molasses from these plantations were loaded aboard as payment, and the traders continued on to the second leg of the triangle, north to New England. Here, the molasses were sold to make rum, and rum was taken on board as payment. The third, and final, leg of the journey was back to Africa. Everyone wanted a piece of this highly profitable trade, including non-British colonies nested in the West Indies. Unable to compete with the sugar plantations of their French colonial rivals, British Parliament passed the Molasses Act of 1733. This act imposed stiff taxes on molasses, sugar, and rum imported to North American colonies from non-British sources. The imposed monopoly and higher taxes did little to endear continued British rule to New Englanders, and the Molasses Act became one of the catalysts that would spark revolution. Not only did this tax hurt many New Englanders who were getting rich off the trade, it also made it more expensive for ordinary colonists to buy one of their most valued staples. 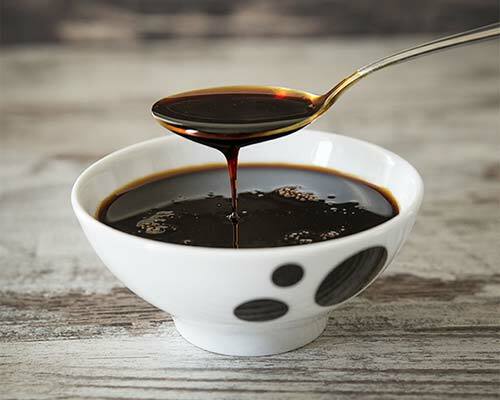 Molasses was the standard sweetener in colonial America, a daily dietary addition to baking, fried vegetables, beans, corn grits, coffee, and marinades. Children were often given warm milk with a hint of molasses before bed. 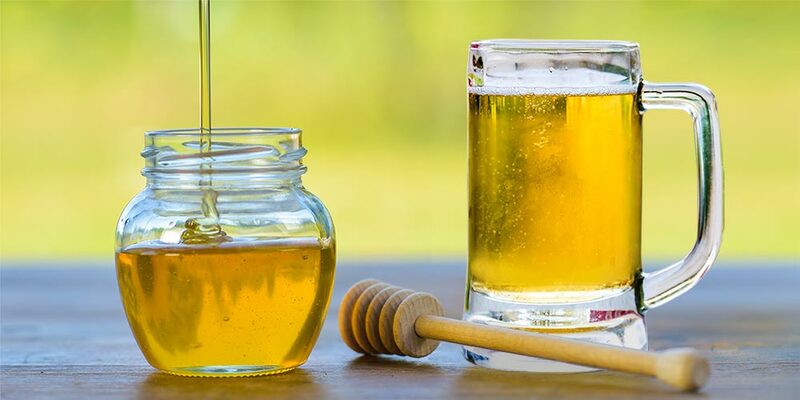 Colonial brewers, too, found the “black honey” indispensable. The usual brewing ingredients were hard to come by in the New World. 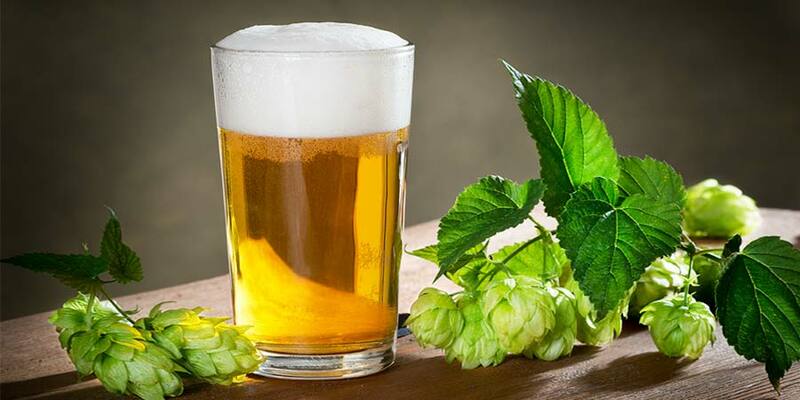 But for some wild hops, the bittering herb was scarce and the barley varieties usually relied upon did not grow well in America. 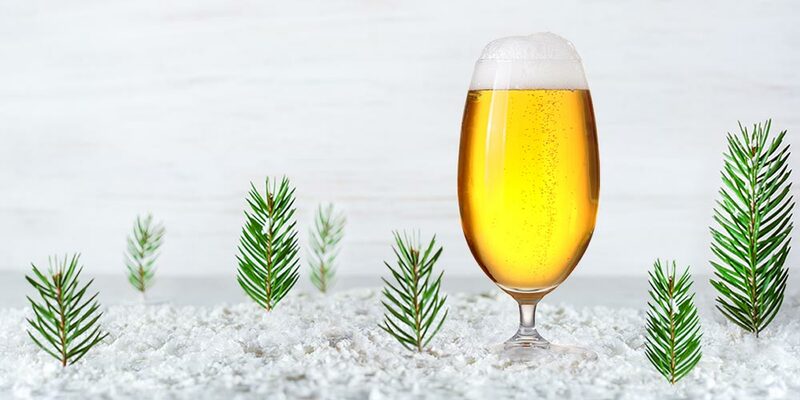 Immigrant brewers turned to using spruce tips, anise, and coriander to bring some balance to their brews. Importing barley from Britain was expensive, and only the more well-to-do brewing families could afford the cost. So, many brewers had to find other sources of sugar. Squash, bran, maize, parsnips, persimmons, and most popular of all, molasses, were all used to feed the yeast and produce beer. Gregg Smith documents in his book Beer in America that, as a result of using, what some deemed, questionable brewing ingredients, beer purity laws were put in place by British authorities starting in the mid-1650s. But, there was a loophole. The laws only covered colonial taverns, not those beers brewed around the home fires. So, in effect, all the laws managed to do was increase the amount of “corrupted” beer brewed in the home. An English traveler to Maryland seems to corroborate the popularity of molasses in colonial brewing, even to the point of choosing it over maize. This observation was originally published in ‘The London Magazine’ in 1746, and reprinted 161 years later in the The William and Mary Quarterly (1907). 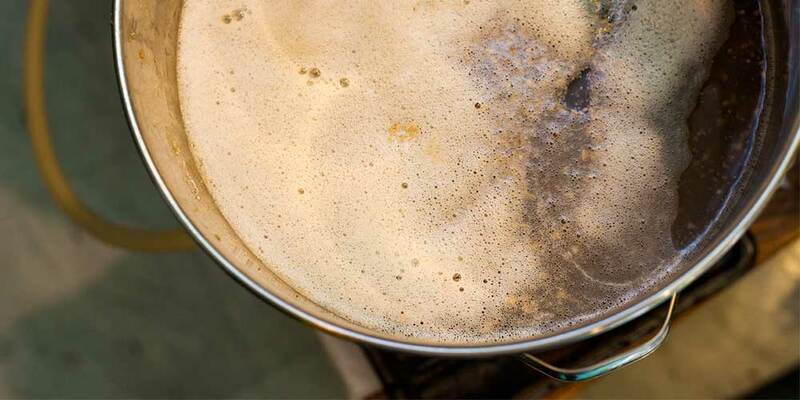 Recipes for beer using molasses give some idea just how big a role the ingredient played. 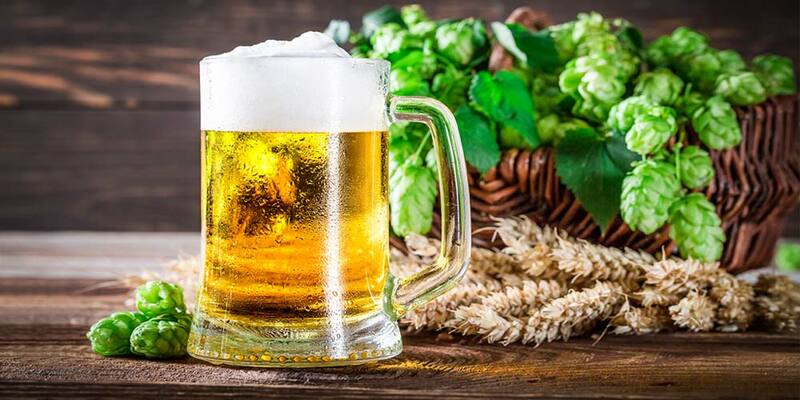 There is George Washington’s famous recipe for a Small Beer, written in the journal he kept as a young colonel during the French and Indian War. And in his 1830 book, The Town and Country Brewery Book, W. Brande publishes the following Philadelphia “recipe to make a wholesome cheap drink”. The recipes continue down through the 1700s and 1800s, making it easy to track its ongoing use. Molasses are included in Captain James Cook’s recipe for spruce beer, along with the spruce beer recipe in Amelia Simmons’s 1796 book American Cookery, and Mary Randolph’s recipes for both spruce and molasses beer in her 1824 book, The Virginia Housewife. Interestingly, from about 1820 to around 1880, there were beer purity laws in effect in Britain. 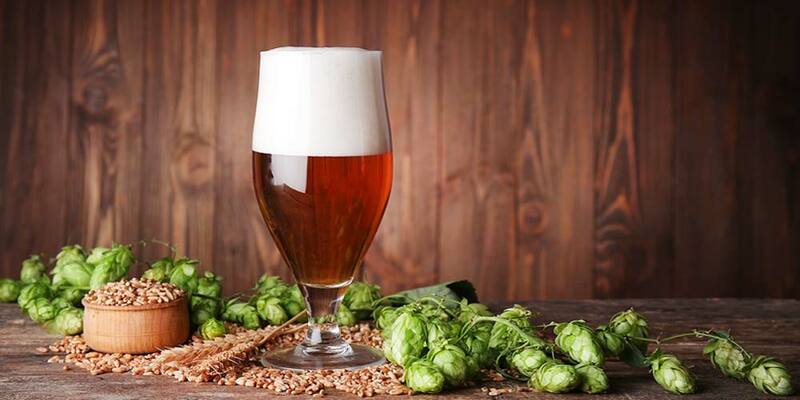 These laws made it illegal to use many “adulterants” while brewing, and very nearly limited the usable ingredients to just water, yeast, malt, and hops. There were claims of using things like opium, marble dust, salt of steel (iron sulfite), copperas, and tobacco. Oddly, other common brewing ingredients were also banned, including honey, raw grain, and molasses. Though, some of these claims were no doubt true, there seems to be less proof in other cases. Acclaimed author Ron Pattinson points out, that most of the prosecutions were for watering down beer or adding something to increase head. Pattinson even gives a reference to a list of prosecutions from 1815 to 1818, taken from A Treatis On Adulterations of Food by Friedrich Accum. The list shows that along with using salt, salt of steel, and watering down beer, one of the main ingredients brewers were prosecuted for was molasses. 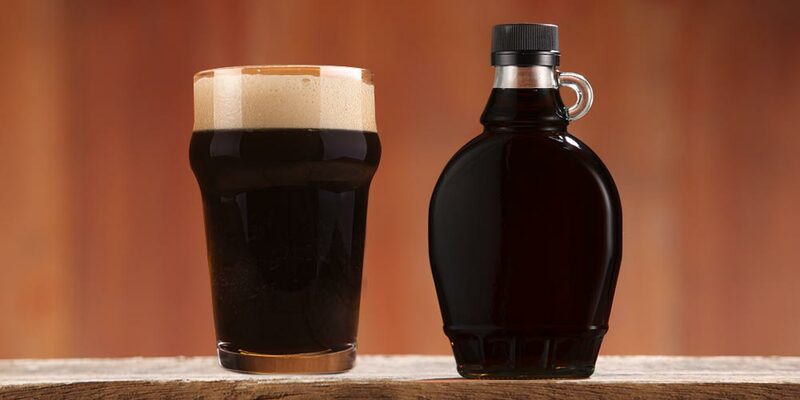 At one time, molasses was also used to darken beer, especially porter. Before Daniel Wheeler invented the drum kiln in 1818, making black malt possible, molasses was one of the types of sugar often used to make essentia bina; a black extremely bitter thick syrup, which was then used to darken beer. To make the stuff you basically let molasses or some other form of sugar heat up in an iron pan until it catches fire then quickly douse it. Sounds exciting. Of course, the invention the drum kiln and the ability to make black malt made this form of coloring unnecessary, but it could still play a role if trying to authentically recreate a pre-1800s porter. Molasses is a byproduct of the sugar making process. The raw material can either be sugarcane or sugar beets, but only molasses from sugarcane is used in cooking and brewing. To extract the cane juice, the stalks are pressed by a series of heavy rollers, squeezing the juice from the pulp. The juice is than boiled until it the sugar crystallizes out of the syrup. A centrifuge is used to separate the sugar crystals from the syrup. The leftover syrup is molasses. The number of times the syrup is boiled results in the different varieties of molasses. 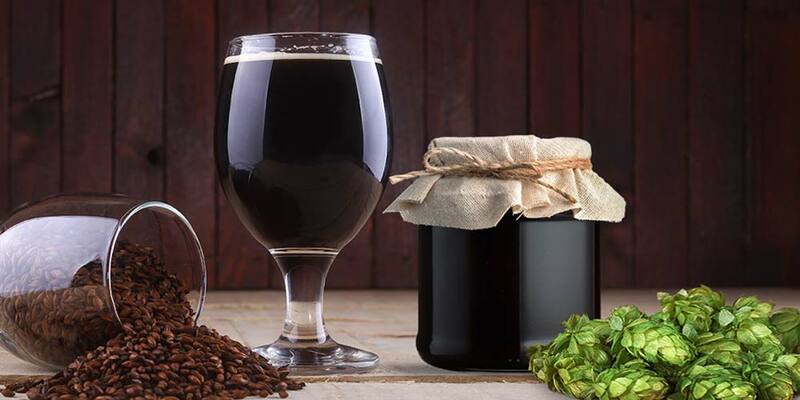 Below, we have put together a guide on everything you need to know if you’re wanting to brew your own beer using molasses. 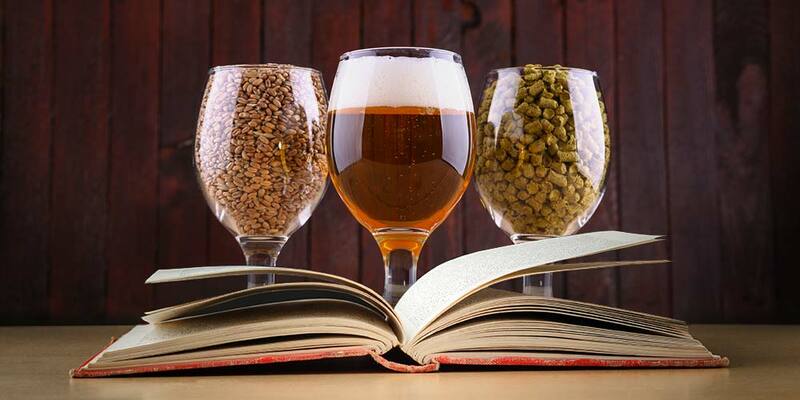 While it may not be the most conventional ingredient in modern day brewing, it still has the ability to add all sorts of interesting characteristics to a recipe. First, you have to decide what type of molasses you want to use in your recipe. There are three main types of molasses derived from the number of times the sugarcane is boiled. Each successive boiling creates a darker, less sweet, but more robustly flavored syrup. Come from the first boiling of the sugarcane. Other names include “Barbados,” “sweet,” “mild,” or “first.” It is amber to light brown in color and contains about 65% sucrose. This is the syrup produced from a third boiling of the sugarcane. It is near black in color, very thick, bitter, and has a sucrose content of only 55 percent. Note: There is a fourth type called Fancy molasses, but it doesn’t come from the same process as the other three. Instead it is 100% condensed sugarcane juice. Thus, it is lighter in color and sweeter than any of the other types. It is much like maple syrup in its color, sweetness, and consistency. As with any other brewing ingredient, you should examine it before using. If there appears to be mold or it looks like it has separated, it’s better to be safe and buy new. If everything looks good, do a smell and taste test. Does it smell like molasses should? If it smells alright, then try a small sample. If it tastes like molasses, than your most likely ready to brew! First, is easy to overdue molasses. Always, keep this at the forefront of your mind when you are preparing to brew a recipe with it. 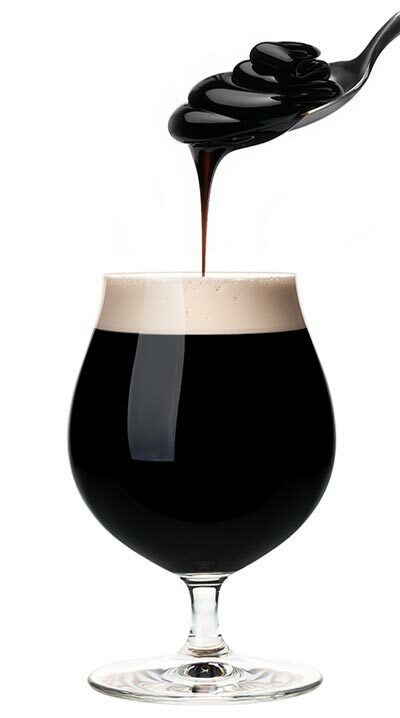 Flavor wise, molasses will usually work best in darker beer styles. 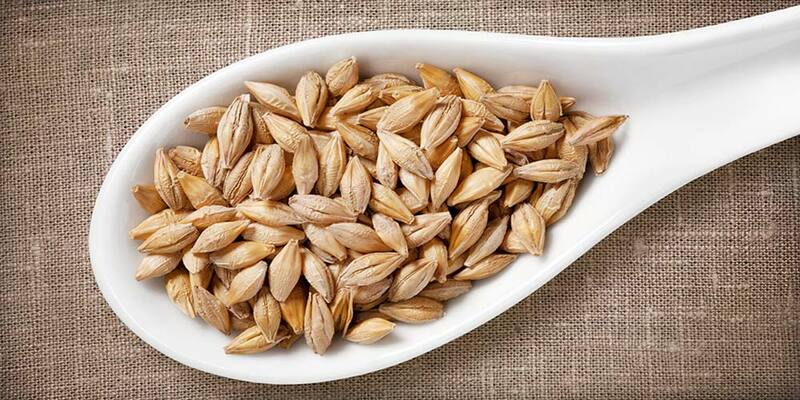 It can match and enhance the characteristic flavors of caramel and dark fruit found in darker malts. The lighter the beer you’re planning, the lighter color molasses you’ll want to use. Darker molasses in lighter beer will run headlong over the subtler flavors in the beer, to say nothing of adding a lot of color. Molasses can be added straight to the boil. Be sure to stir often to avoid burning. In all but the case of recreating a colonial molasses brew, you’ll want to stick to this rule of thumb, don’t make more than about 20% of your fermentables adjunct sugar. This is especially true, even might be a bit high, when it comes to the robust flavors in the darker molasses. Adding 20% blackstrap to your beer is going to make it have more in common with a colonial molasses beer than one with 10% blackstrap. Discretion must be taken with an ingredient having such characteristic and strong flavors. Experiment with the quantity over several batches of the same beer. Start small. A good quantity to start with is about one cup for a 5 gallon batch. You don’t want to overpower the other flavors in your beer. That is, unless you’re going straight-up colonial and doing a molasses beer with no other sugar sources involved. Always look for unsulphured molasses. If they have a strong metallic flavor you are probably better off looking for a different product. Contains notable amounts of fructose and glucose and half, or less, the amount of sucrose found in refined sugar. Molasses is widely available and can easily be purchased in most local grocery stores. Try to get organic if you can, and always make sure there are no additives. Many homebrew supply stores also carry medium/dark and blackstrap. The finer varieties may be available in the grocery store or can be special ordered. If stored properly, molasses can have a shelf life that extends for a couple of years. However, it is possible for it to last much longer. Pay attention to the expiration date, but don’t take it as gospel. I have a bottle of Plantation Organic Blackstrap with an expiration date of 2013, and I can’t tell much of a difference between it and a new bottle I bought. But also remember, unlike honey, molasses can go bad. Mold can form on molasses in the form of small fuzzy, discolored spots or a hard-to-see slick on the surface. Molasses cannot be salvaged after mold has started to grow, so if you find you’ve got mold it’s time to spring for new bottle. Store your molasses in a cool dry place, like the back of a pantry. Make sure your lids are tight, and clean off any excess syrup around the opening and off the jar before you put it into storage. As you choose a variety that goes up in color, expect it to become more robust in aroma and flavor. Light: Buttery, sweet, slightly rummy notes. Medium/Dark: Fuller mouthfeel, light sweetness, deeper rum notes, and slight tarry or burnt character. Blackstrap: Full, Robust, heavy. Some bitterness, notes of rum and raisin, along with heavy tar and burnt caramel. Like honey, molasses is a more nutritious alternative to refined sugar. Sugar from molasses is absorbed into your blood stream slower than refined sugar. It also contains trace vitamins and minerals, including B1, B3, B5, B6, calcium, iron, magnesium, potassium, and phosphorus. All of which are important to your bodies healthy function. So, going with molasses instead of a more refined sugar in your beer recipes may have some added benefits. Of course, I’m not a doctor. To help you gain a better idea of how molasses can add to the character of different styles of beer, I would recommend you sample as many of these as you can find. This, ummm… “research” will, no doubt be fun, but also give you a deeper understanding of how you might use molasses in your own recipes. Poour Richard’s Tavern Spruce from Yards Brewing Company (USA) – Also uses spruce tips. Glutenator from Epic Brewing Company (USA) Gluten Free. Spruce Ale from Clan Brewing Company (UK) – Aged in whiskey casks. What kind of yeast would be best for a colonial style beer? Molasses beer / honey beer and Ginger beer. Only doing gallon batches and only buying organic ingredients / purified spring water..
A slower ferment could make a thicker head and a fizzier could happen from an added tiniestl pinch of yeast towards the end right when bottling. Also, the wine yeast is smoother and less raw so stick with traditional beer yeasters? My last idea is to use a small amount of a cocktail fruit in the brewing, like pineapple. Other milder fruit would make a smooth beer? but not as foamy. I like your ideas of varied gallon batches, easy to try without a huge commitment and then easily duplicated for best beer 🙂 !